Every Hire Truck/Tempo company associated with LogisticMart goes through extensive background inspection before we register them with us. We only connect verified and reliable Truck/Tempo companies of Delhi. In Last 25 days as of Apr 26 2019, LogisticMart has incorporated more than 4692 requests just in Delhi. For each request we do a follow-up call to ensure our customers experience has been worthy. Are chota hathi transport service providers in Delhi on Logisticmart.com properly verified? We at Logisticmart.com have a huge database of chota hathi transport companies in Delhi. All the companies listed with us, are completely verified and they ensure that your priceless belongings are transported to a new desired location safely. Above all, you can also take the help of our professional experts if you are finding any difficulty to find the tata ace for shifting in Delhi offering best in class services at competitive rates. Do you want to get truck on rent in Delhi that is verified by Logisticmart.com? The primary objective of Logisticmart.com is to help the customers’ book truck on rent in Delhi with just few clicks. The truck hire service providers listed on website go through the well planned and strict quality check by our truck or tempo professionals. All the desired documents such as Aadhar Number, Pan Card, Company registration certificate, etc are verified carefully before listing as a part of trusted network. To make hiring process transparent, we provide a personal dashboard where you can check all these documents and get book mini truck for rent in Delhi from service providers in hassle free manner. What is vital thing that must be done after availing truck rental services? Before finally passing over the keys of your house or office to truck or tempo for shifting in Delhi company, as it doesn’t matter how professional and well reputed truck hire company in Delhi you have hired, you must make it a point to check all the rooms of the house one last time and see whether you have forgotten any items or not. What are important things to do before beginning to avail services of truck rental companies in Delhi? It is important to note that doing things and planning way far ahead of time is yet dangerous as well, as you can never be certain if things will work in the way you have resolved. 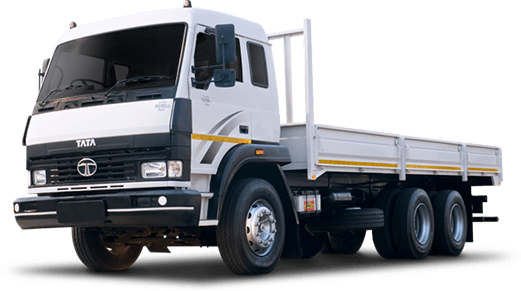 Most importantly, make a plan for hiring truck rental service providers in Delhi only when you are completely sure about the time and the day of changing over. What are best ways of getting connected to the reliable mini tempo rental companies in Delhi? There are various methods of checking out the credibility of the relocation service providers. Go through the reviews and if there are lots of positive comments, then hire mini tempo rental Delhi company that can be trusted. Visit the RTO office for checking registration number. Ask for the contact numbers of clients for cross checking about the services of the company you are planning to hire. LogisticMart is a well-known as well as reliable name when it comes to providing the well verified services of truck rental in Delhi for shifting. We work our best to aid you in finding the trustworthy shifting service providers in Delhi in the most convenient way. All you require to do is visit our online portal, check out the wide list of service and select the perfect one that suits your requirements and financial capability. At LogisticMart, we strive to please you with our high quality services and complete satisfaction when you hire truck and tempo in Delhi from our professional service providers. What Are the Benefits of Contacting Relocation Service Providers through LogisticMart? Documentation of each and every detail before availing shifting services in Delhi. Proper monitoring as well as supervising the shifting of items. Ensuring that during the shifting process no tear and wear of any items occur. Keeping updated with constant information regarding the shifting in and out of Delhi even when you book mini truck in Delhi. Proper loading of item before starting the process of shifting. Proper arrangement of the items after unloading from the tempo for shifting in Delhi. Do you wish to get the most competitive truck rental rates in Delhi? Do not have much time to look out for the best service providers? No need to worry so much. LogisticMart is here to help you. Just visit our online site and put your request by filling up the online form. You can also call us directly. We have well skilled representatives who will aid you in solving all your queries and then connect with the best service providers for shifting operating in Delhi. When the service providers will contact you, you can discuss with them your requirements as well as enquire about the charges of Chhota Hathi for Rent in Delhi. If you are satisfied with the rates offered by them, then you can hire. It is evident that LogisticMart acts as a wonderful guiding partner to help you in getting the best shifting charges and thus have an excellent shifting experience in Delhi. So by availing shifting services there are many things that you will get. 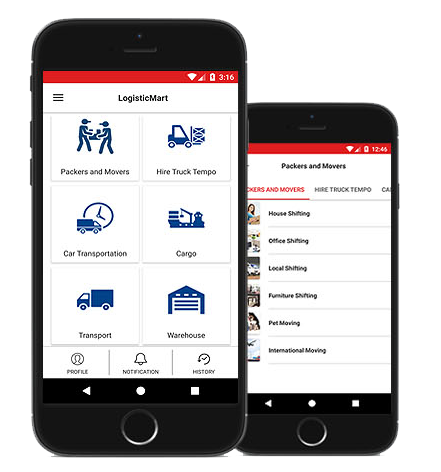 LogisticMart will assist you in getting the best service provider to hire truck on rent in Delhi, great packing materials and properly trained drivers who will drive cautiously during relocation.